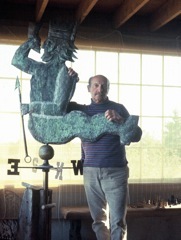 Max Kahn, noted painter and sculptor, created fanciful and handsome weathervanes. 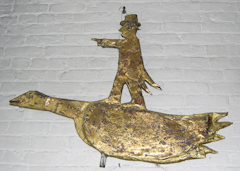 Of the mythical beasts with imperial poses, Mr. Kahn tackles his imagination with the task. 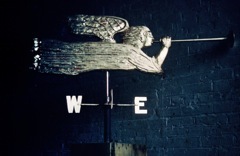 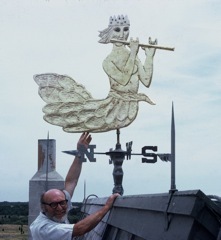 Mr. Kahn's weathervanes are roughly five feet by four feet. 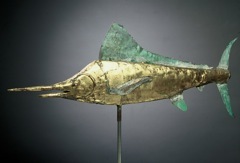 They are roughly a three-quarter inch plywood core with a copper overlay, soldered on. 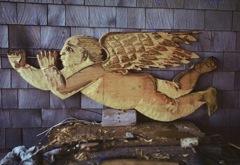 No nails were used. 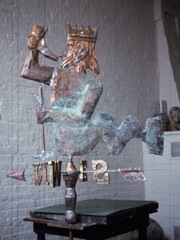 The copper has been treated with acids to turn it a verdigris shade of green, except for the shredded copper or natural copper color. 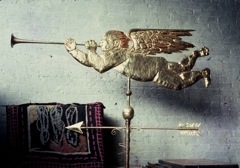 Like most of Mr. Kahn's weathervanes, they are both beautiful and comic. 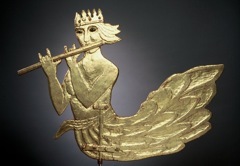 They lift your heart and make you smile at the same time. 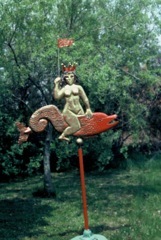 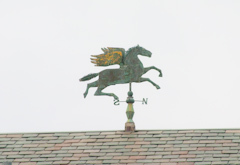 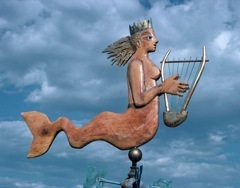 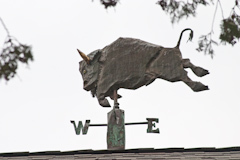 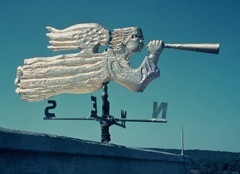 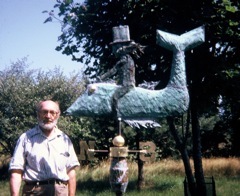 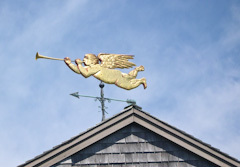 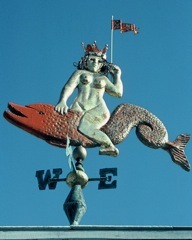 Mr. Kahn created most of his weathervanes on the Island of Martha's Vineyard, at his studio on Scotchman's Bridge Lane. 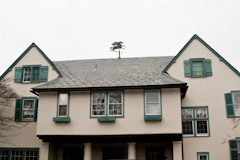 They are entirely fitting and will grace any roof.